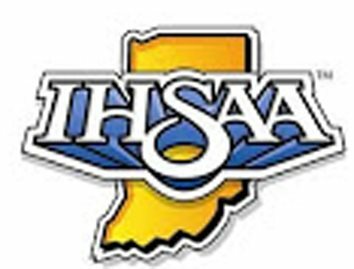 FREMONT – Two games in Class 1A Sectional 52 produced two very different outcomes at Fremont High School Wednesday. 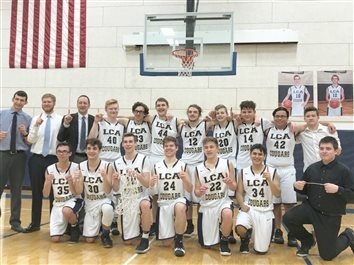 WINONA LAKE – For Lakeland Christian Academy’s varsity boys basketball team, the journey to a sectional championship starts with a sizeable road block. 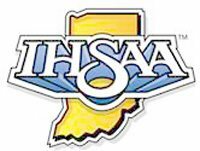 WINONA LAKE – Last season, Lakeland Christian Academy’s girls basketball team fell four points short of claiming its first sectional title, losing 41-38 to Lakewood Park in the title game. WINONA LAKE – A career night by Braxton Keller led the Lakeland Christian Academy varsity boys basketball team to a 53-44 win over Elkhart Christian. 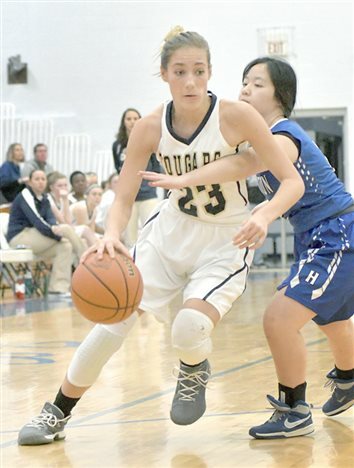 WINONA LAKE – The Lakeland Christian girls basketball team went 2-0 Thursday to advance to the title game of its own Cougar Classic. 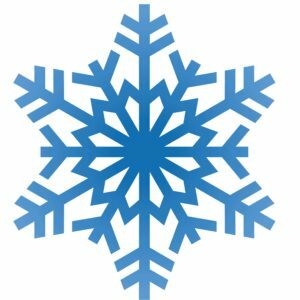 WINONA LAKE – The little things cost Lakeland Christian Academy Thursday. WINONA LAKE – Lakeland Christian Academy inducted two alumni into its Athletic Hall of Fame during its ninth annual induction ceremony. 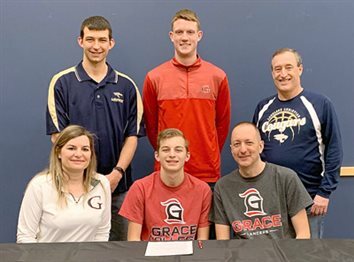 WINONA LAKE – The Lakeland Christian Academy boys basketball team has been slowly building under coach Chris Hohm. Now, the Cougars will look to make a leap without several players who helped build that success. WINONA LAKE – The Lakeland Christian girls basketball team was so close to taking home sectional hardware last season. TOPEKA – Led by the Calizo sisters and a second-half surge, Lakeland Christian Academy’s girls soccer team became the first team in school history to win a sectional championship in any sport Saturday. 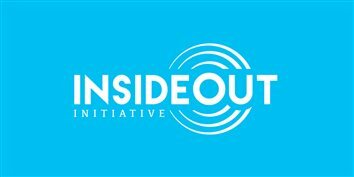 WINONA LAKE – Abigail Fishel likes to surprise people. 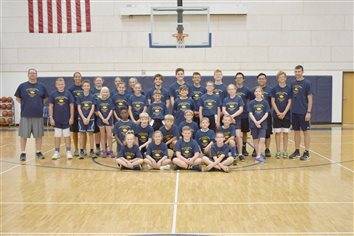 Lakeland Christian Academy hosted basketball camps this past week. 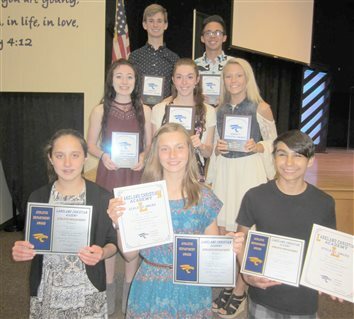 WINONA LAKE – Lakeland Christian Academy had its annual track and field awards night. 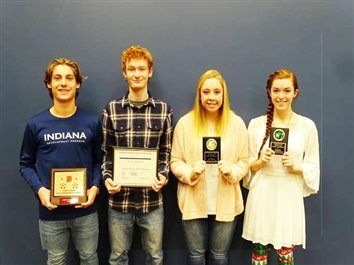 WINONA LAKE – Two boys and two girls from Lakeland Christian Academy’s basketball teams were named first-team All-Hoosier Plains Conference. Senior Josh McDaniel and junior Jake Harmon made the first-team on the boys side, while junior Landon Twombly made the second-team and senior Jeremy Gross made the HPC all-academic team. 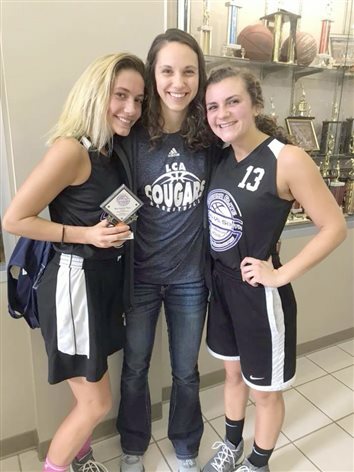 LEBANON – Seniors Hope Fancil and Jessica Slone of the Lakeland Christian Academy girls basketball team competed in the Indiana Elite North/South All-Star Class 1A game on Saturday at Lebanon High School. 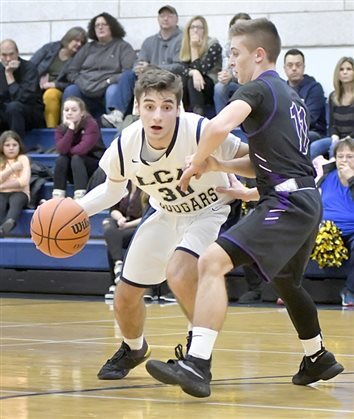 HAMILTON – The Lakeland Christian Academy boys basketball team lost 102-37 to Fort Wayne Blackhawk Christian Friday night in the sectional semifinal matchup. 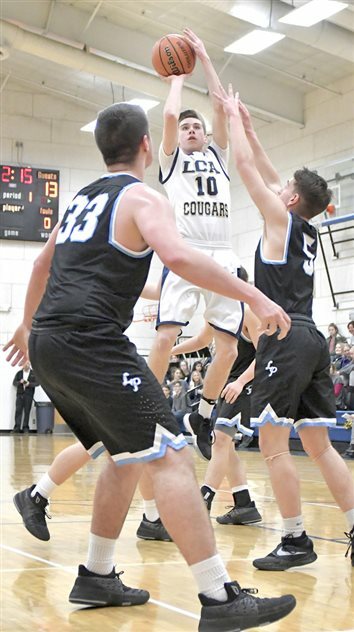 HAMILTON – The Lakeland Christian Academy Cougars extended their win streak in a big way Wednesday night. 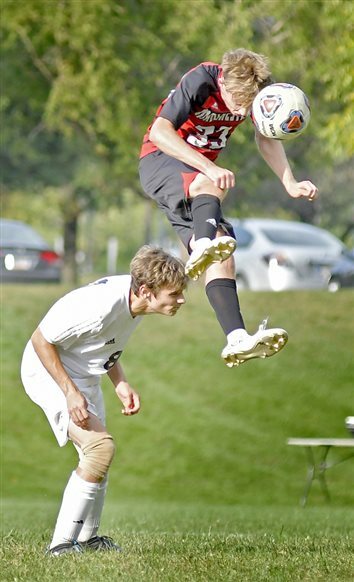 WINONA LAKE – When Chris Hohm took over the head coaching position at Lakeland Christian Academy in 2014, the team won three games the year before and had nowhere to go, but up. 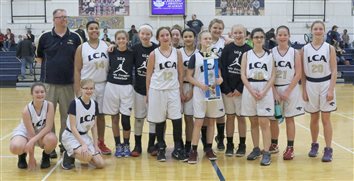 WINONA LAKE – The Lakeland Christian Academy girls junior high basketball team finished in first place at the LCA Junior High Tournament. WINONA LAKE – Lakeland Christian Academy won 96-31 over Howe Military in boys basketball action on Tuesday. 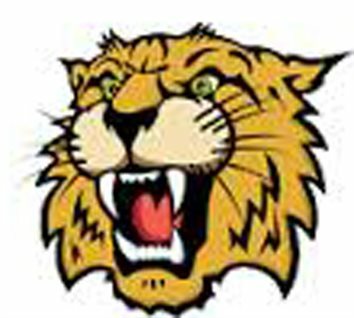 The Cougars won at least a share of the Hoosier Plains Conference with the victory in the first year of the conference. 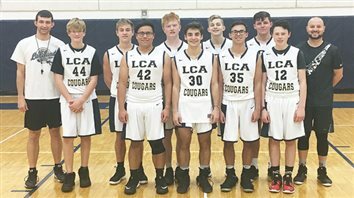 WINONA LAKE – The Lakeland Christian Academy Cougars continued their late-season push and extended their win streak to three games Friday night with a 51-50 nonconference victory over the Oregon-Davis Bobcats. 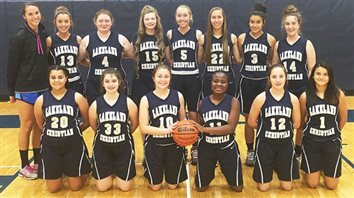 GOSHEN – The Lakeland Christian Academy Lady Cougars ended their most successful basketball season in program history on Saturday night. LCA lost 41-38 to Lakewood Park Christian in the Class 1A Sectional 52 championship at Bethany Christian High School. 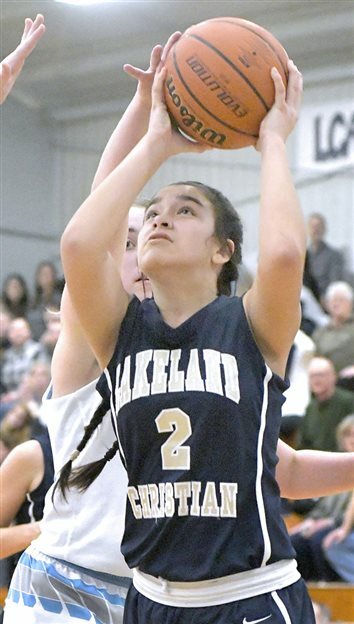 GOSHEN – A runaway victory in the semifinals has Lakeland Christian Academy one more win from raising its first sectional trophy in girls basketball. 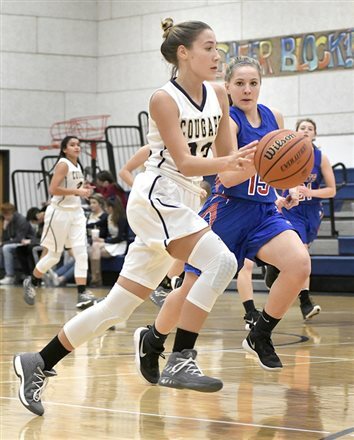 The Lady Cougars (16-8) built leads of 25-3 and 37-10 at the first two quarter breaks Friday on the way to a 63-19 win against Hamilton (0-23). The championship game against Lakewood Park Christian (16-5) – a 39-33 winner against Fremont in Friday’s second semifinal – is scheduled for 7:30 p.m. today at Bethany Christian High School. 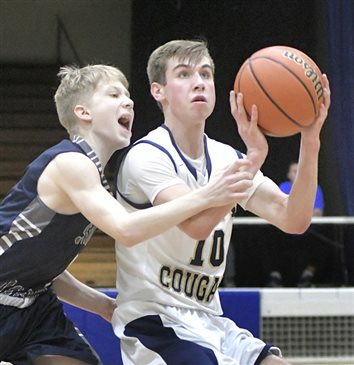 WINONA LAKE – The Lakeland Christian Academy Cougars hosted Lakewood Park Christian in a battle of high school boys basketball teams looking to end their respective losing streaks Thursday evening. 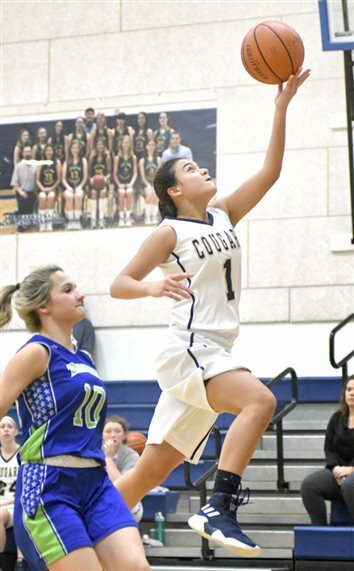 GOSHEN – The Lakeland Christian Academy Lady Cougars will continue their season, as they defeated Bethany Christian 39-34 in an overtime contest Tuesday night. WINONA LAKE – One down, one to go for the Lakeland Christian girls basketball team. WINONA LAKE – Hope Fancil scored 25 points and Jess Slone had a double-double with 12 points and a dozen rebounds, leading Lakeland Christian Academy to a 66-43 non-conference girls basketball win over visiting Caston Thursday night. 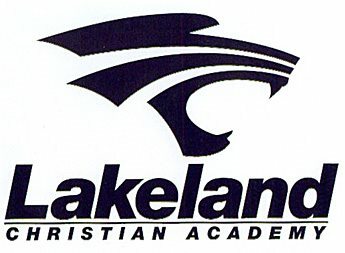 Four Lakeland Christian Academy fall sports student-athletes earned conference honors recently. Warsaw’s boys swim team won its invitational title for the fourth straight season, while the Lady Tigers used depth and a series of top-three finishes to claim its first meet title Saturday at the WCHS pool. 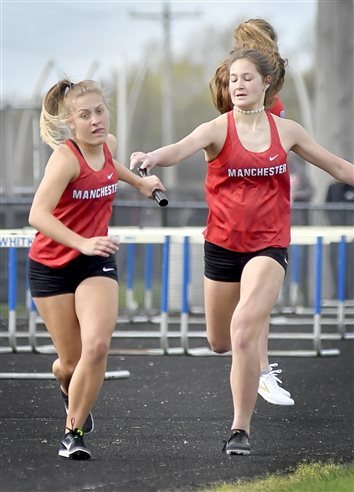 Manchester’s boys were fifth at the meet, and the Lady Squires took seventh. The Tiger boys won seven events and scored 595 points to easily outdistance runner-up Rochester’s 368 points. Nick Zogbi was a double winner, taking the 200 freestyle and 100 backstroke. Grant Knight won the 200 IM and Evan Borchers took first in the 100 butterfly and third in the 500 freestyle. Alex Cook had a pair of second-place finishes, in the 50 and 100 freestyles. The Tigers also won all three relay races.